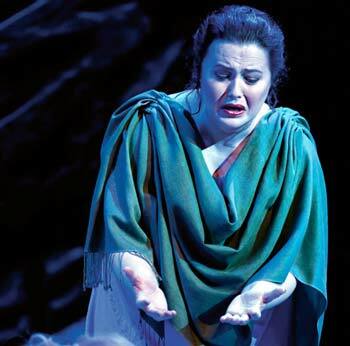 Guest engagements brought Elena Batoukova-Kerl to the Vienna State Opera, the Deutsche Opera Berlin, the Hamburg State Opera, the Opéra de Bastille in Paris, the National Opera House in Riga, the Bayreuth Festival, the Ludwigsburg Festival, the Wiesbaden May Festival, the Salzburg Festival, the Aarhus Opera Festival in Denmark, the Smetana Opera Festival in Prague, …just to name a few. 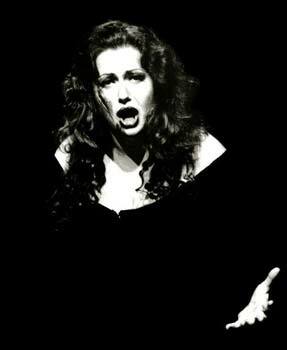 Here, she sang central parts of the mezzo soprano repertoire, amongst them AZUCENA, EBOLI, ULRICA, AMNERIS, CARMEN, ANNINA, VENUS, BRANGÄNE, WALTRAUTE. The Russian born singer completed her musical studies at the Gnessin Music Conservatory and the Conservatory in Moscow with Prof. Schumilova. 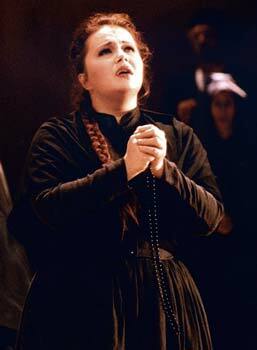 With roles such as KUNDRY in „Parsifal“ and SANTUZZA in „Cavalleria Rusticana“, which she sang at the Deutsche Opera Berlin and the Vienna State Opera, the artist expanded her repertoire. In 2014 she enjoyed great success with her portrayal of SIEGLINDE on the occasion of the 200th anniversary of the Graz Music Association. Moreover, Elena Batoukova-Kerl is a very much sought-after concert soloist. She performed in numerous concerts with such orchestras as the Vienna Philharmonics, the Czech Philharmonic Orchestra, the Hungaria Philharmonics, the Bamberg Symphonics, the Southwest Broadcasting Orchestra Baden-Baden, the WDR Radio Orchestra Cologne, the State Philharmonic Orchestra Rheinland-Pfalz, the Hessian Radio Orchestra, and the Bruckner Orchestra in Linz. Her repertoire includes the Verdi-Requiem, Rossini’s ‚Petite messe solemnelle‘, Bach’s ‚Weihnachtsoratorium‘, Händel’s ‚Messias‘, Schubert’s ‚Mass in in A flat major‘, Beethoven’s ‚Missa Solemnis‘, Wagner’s ‚Wesendonk-Lieder‘, Mozart’s ‚Requiem‘, Dvorak’s ‚Requiem‘, Suppé’s ‚Requiem‘. Elena Batoukova-Kerl works with such renowned directors and conductors as Robert Carsen, George Delnon, Götz Friedrich; Daniel Barenboim, Semyon Bychkov, Karel Mark Chichon, Adám Fischer, Michael Jurowski, Wladimir Jurowski, Fabio Luisi, Ulf Schirmer, Peter Schneider, Christian Thielemann. In the season 2018/19 she makes her debut as BRÜNNHILDE at the Würzburg Theatre.